Wat Ratchanadda (meaning Royal Niece) is best known for the Loha Prasat , a one of a kind in structure Thailand. 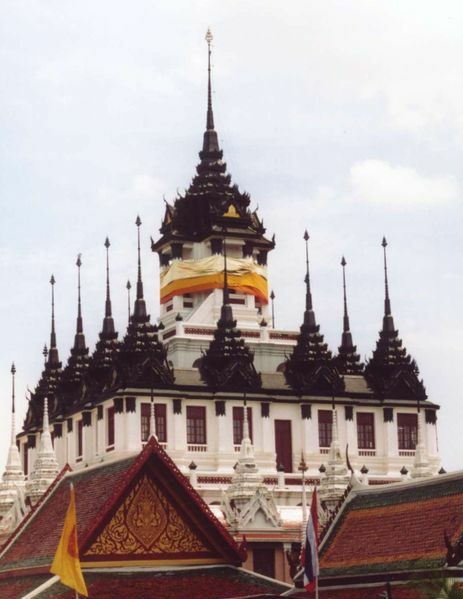 The pagoda is a replica of the Loha Prasat built in India. It is 36 m high and has 37 metal spires, signifying the 37 virtues toward enlightenment. In 2005, the pagoda was submitted to UNESCO for consideration as a future World Heritage Site.